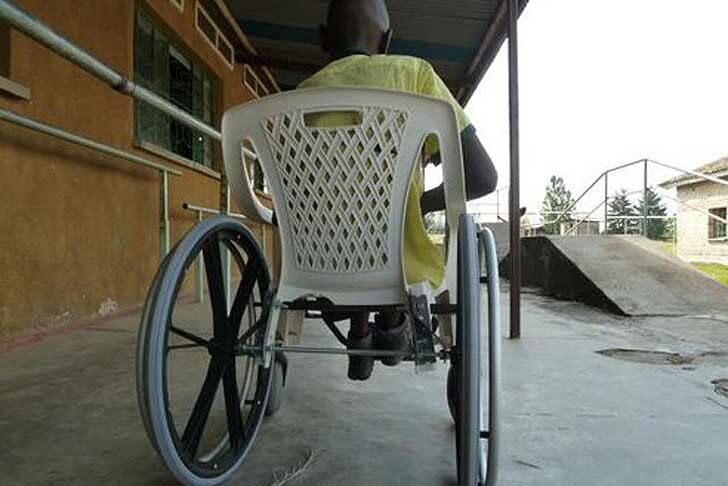 In order to make wheelchairs more accessible to people in developing countries, two designers are revamping common plastic chairs with a little bit of creative common sense. By affixing the widely available plastic seats to standard wheelchair wheels, Spanish designers Josep Mora and Clara Romaní are able to drastically cut the cost of the products through some simple DIY. Thanks to a workshop settled within a local hospital, this designer duo is giving injured people in Rwanda the freedom to move around by themselves. 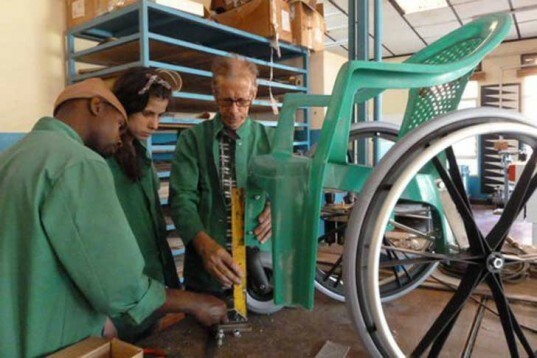 Mora and Romaní created a workshop inside Gatagara Hospital that engages patients and staff in the building and fixing of recycled wheelchairs. The design that uses simple metallic corners and screws to fix the seats to the wheels makes cheaper products while using readily available objects. A great sustainable idea that can be followed anywhere in the world, but that particularly works well in places that lack money and resources.